Segments of flower stems that will be stacked. 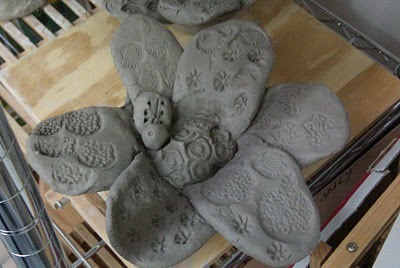 Third graders made the leaves, Special Programs students made the lady bugs, and I extruded the stems, which are hollow. Right now, my plan is that these flowers will be 3 1/2 to 5 feet tall. Special Programs students also made other masterpieces, including six “small flowers,” 9 inches to a foot in diameter. Aren’t they adorable? 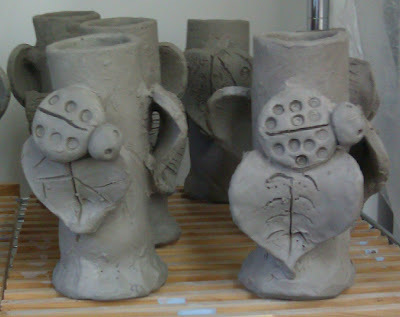 After glazing, we’ll mount them on rods and pipes.